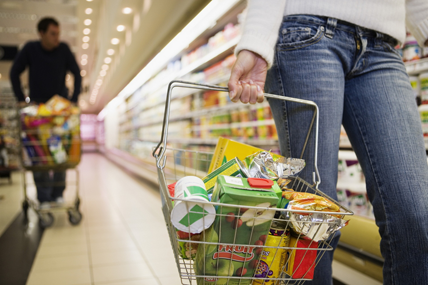 Kantar Worldpanel1, the global market leader in consumer panels, reports 7.1% value growth for the FMCG (Fast Moving Consumer Goods) market for the latest quarter up to June 14th 2013 compared to the same period a year ago. The figure is lower than the 8.4% growth for Q1 and also the lowest quarter-on-quarter growth in the last 2 years. This slowdown in growth has mainly been driven by a slower growth in household spending as shoppers are buying less items over the quarter compared to last year. Average prices and shopper numbers continue to increase due to premiumisation and urbanisation. The growth of FMCG in China has been a story of two halves with the North of China including Beijing seeing the slowest growth at just 3.9% whereas the South has seen a more prosperous quarter with growth of 8.4%. Fujian province has been a key contributor with growth at nearly 15%. Regional and Provincial differences in the performance of FMCG are important for retailers to understand especially when considering where to expand their footprint. Sun-Art Group has seen yet another quarter of growth further extending its lead over the second largest group: CR-Vanguard which has moved into the number 2 spot. CR-Vanguard Group has one of the largest footprints in China stretching across regions and city tiers through the various formats the different banners offered within the group. Recent share growth has come from the higher city tiers and in ShaanXi province where the group already owns almost one third of the modern trade market. The Western hypermarket chains struggle to grow share as the local retailers fight back. This trend is very evident in the Northern provinces where the likes of Dashang Newmart in HeiLongJiang province, Jia Jia Yue in Shandong province and Yonghui across the region are rapidly gaining share and becoming increasingly competitive with Wal-Mart, Tesco and Carrefour. E-commerce growth continues with growing importance across all city tiers but notably in key cities (Shanghai, Beijing, Gaungzhou and Chengdu) where this channel now occupies 3.7% of the total FMCG trade. E-Commerce is now bigger than more traditional channels such as direct sales and Kantar Worldpanel predicts the annual penetration will be more than 60% in key cities within the next 3 years. This will make e-commerce a serious player within FMCG and one manufacturers will need to engage with in order to be successful in China. Over the last quarter 3 of China’s provinces: Henan, Anhui and Fujian have all delivered double digit growth and have withstood the recent slowdown within FMCG. So what differences have we seen in these provinces that have allowed sustained growth. In Henan modern trade (so hypermarkets, supermarkets and convenience stores) has been a key driver growing at 18% with a number of key local players such as Da Zhang, Century Mart and Vanguard performing very well. Also, RT-Mart and Yonghui have expanded their operations in this province with both retailers doubling their share over the last year delivering strong growth to the hypermarket channel. Interestingly in Anhui the story is very different with non-modern trade channels being the key contributor. The traditional grocery channel continues to thrive seeing 23% growth year on year, direct sales with 45% growth and even more modern channels are contributing, such as e-commerce at 70% growth. In Fujian modern trade is also the growth engine with strong performance within the supermarket channel. Yonghui has also grown well here but it’s actually been the international players who have outperformed in this province, namely Walmart and RT-Mart which have both seen growth in excess of 50% year on year. Starting 2013, Kantar Worldpanel is pleased to offer individual reporting of 16 provinces2 to improve the depth of consumer insights. The learning here is that there is no ‘one-size-fits-all’ strategy for China’s FMCG market. How channels and retailers perform is very different from one province to the next and to truly implement a successful strategy in China. Retailers and manufacturers need to be aware of the differences and what it means for their business. 2. 16 provinces: Shandong, Zhejiang, Jiangsu, Guangdong, Heilongjiang, Liaoning, Hebei, Anhui, Henan, Fujian, Hubei, Hunan, Shaanxi, Sichuan, Yunan, Guangxi.